WASHINGTON, D.C. – Ahead of tax day, U.S. 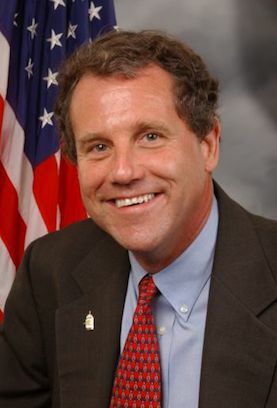 Senator Sherrod Brown (D-OH) has introduced the Working Families Tax Relief Act. Brown’s tax cuts would benefit 4 million Ohioans, including 1.7 million children in the state. The bill also allows workers to draw a $500 advance payment on their EITC so that families aren’t forced to turn to predatory payday lenders when the car breaks down or other unexpected expenses come up. Payday loans are generally made to individuals who are working and often eligible for the EITC. The average payday loan is about $375. All across the country, families are working harder than ever but have less and less to show for it. Corporate profits have soared, executive compensation has exploded, but wages are flat. Meanwhile the cost of everything from healthcare to education and housing is up. Our bill would help put more money back in the pockets of working families and set children up for future success. • Boost the incomes of 46 million households and 114 million people, including 43 million children. • Lift 7 million people out of poverty, including 3 million children. • Expand the EITC for families with children by roughly 25 percent. • Allow workers to draw a $500 advance payment on their EITC so that families aren’t forced to turn to predatory payday lenders when the car breaks down or other unexpected expenses come up. The average payday loan is about $375. • Significantly expand the EITC for workers without children and make the credit available for people starting at age 19 up to age 67. Currently, workers without children can be pulled under the poverty line by taxes. Expanding the EITC would fix that. • Make the CTC fully refundable, so the more than 26 million children who were left out of the Trump tax law get the support they deserve. • Create a Young Child Tax Credit to provide extra support to children five and under, when research says they need it most. Another problem with this is "Make the CTC fully refundable". Under this scenario, if you owe zero taxes after using existing deductions and exemptions, you get a refund. So apply this to the 44% (the percentage of Americans who pay no federal individual income taxes). An increase in 2018 of 2 percentage points above 2017. This is a Trojan Horse public assistance payment. If you already pay no taxes, why should we increase and provide another public subsidy? If it is to be refundable, then deduct, housing and heating assistance, welfare and food stamps (SNAP) for starters. And the fraud with SNAP was a local Highland County issue last year. The defendant was able to pay restitution of about $18,000 and avoid jail. Said defendant had resources, but instead commited a fraud for which there was no real punishment. And I understand the taxpayers paid for the defense. This comment has been hidden due to low approval. Here is a more current link on EITC fraud. My apologies to The HCP and readers. My due dilligence and research standards slipped today. Further proof I need to take vacation more frequently than 6 months. This is day 4 of 6 off. https://www.journalofaccountancy.com/news/2019/mar/2019-irs-dirty-dozen-tax-scams-201920830.html This comment has been hidden due to low approval. Correction on date. Read wrong line. Should be 2014. This comment has been hidden due to low approval. Wages are not flat here in Sonoma County. Minimum wages are being pushed up by a low under 3% unemploymnet for some time. I got a nice Trump cut. But will not benefi from EITC because I likely make more than any limit proposed. Great timing today as reported by news story. "The Treasury Department has released its latest report on the fight against widespread fraud in the Earned Income Tax Credit program. The problem is, fraud is still winning. And there's not even much of a fight." see https://www.washingtonexaminer.com/report-massive-fraud-still-rampant-in-earned-income-tax-credit-program Then heck out this part. The new report found that the IRS is simply ignoring the requirements of a law called the Improper Payments Elimination and Recovery Act, signed by President Obama in 2010, which requires the IRS to set fraud-control targets and keep improper payments below ten percent of all Earned Income Tax Credit payouts. "The IRS continues to not provide all required IPERA information to the Department of the Treasury," the new report says. "... For the third consecutive year, the IRS did not publish annual reduction targets or report an improper payment rate of less than 10 percent for the EITC." Well on the bright side I am still long on gold mining stocks as the national debt clock keeps spinning ike a roulette wheel. This comment has been hidden due to low approval. Rory, I was so busy trying to spell Sherrod that I misspelled your own name, sorry. ••••Editor's note: POTO, I have been called much worse. No apology necessary. This comment has been hidden due to low approval. Roy, I don't think Sherrod got the Civility meme. Classic leftist class warfare at work here. Incivility comes to mind, lol. He might just as well have called this the Illegal alien tax relief act. This comment has been hidden due to low approval.